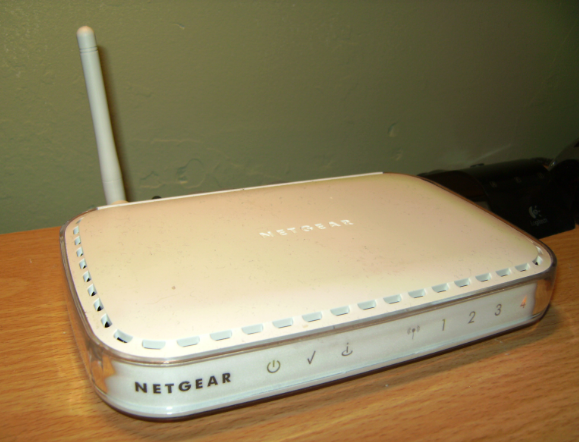 Netgear Incorporated is an American global technology networking corporation. Home and business solutions are based on WiFi, LTE and Ethernet. It is publicly traded on NYSE:NTGR and has offices in over 20 countries. In 2015 revenues were reported as US1.3 billion and employees numbering over 900. To reach technical support, call 888-638-4327. You may call CEO Patrick Lo at the US office, 408-907-8000 or mail him at 350 E. Plumeria Drive, San Jose, CA 95134 USA. Additional contact information is here. The Netgear product line includes: Orbi WiFi System, Netgear11AC for speed and range; Ario QPlus, ArioQPro for Smart Home Security, Netgear Routers 3G/4G and the NAS 100, 200 and 210 Series for Network Storage. Social presence is found on Facebook, Twitter and YouTube has a useful “Unboxing Orbi” video. but still in the one year warranty period. once each week for the past three weeks. Bought an Arlo 3 camera system and every time it goes offline, I call tech support in INDIA and they end up just trying to up sale me on everything will work just fine for an extra $149. Are you kidding me? I didn't pay $400 to be up sold by a foreigner in a foreign land for tech support that should fix the problem. They keep blaming it on the modem and the ISP but there is no problem from them. Please pass this along and explain to your customers why it should cost an extra $149 to get this system working the way it should of in the first place! Just bought extender waited for 3 hours and women hung up couldn’t hardly speak English. Didn’t even call back. I’m waiting anther 3 hrs and if I don’t get help tonight I’m returning product and never having anything to do with you. This is my third router. I purchased many before, always buying the best router Netgear has. But now less than two years later it doesn't work and Netgear wants me to pay $130 to help fix it because it is not under warranty anymore. I find it upsetting that a customer has to replace a router every two years. And what does product loyalty due for them? Nothing. In case this gets ignored, I plan on sharing my feedback on Facebook and Twitter under the NetGear company pages. Paid $180 for router and it quit working just past one year. I feel that a company should refund or fix broken products. It is either a defective part or netgear has poor quality supplies. Either way I wanted to register my experience so others do not make the same mistake as me. Does anyone have a good contact phone number for the billing department? When to best buy to buy a wifi booster an ac 1200 we are not techie but we do know how to read and follow instruction after 2 hours my husband called Netgear for help on installing, You wanted 50.00 so we took it back. We now will look for NOT NETGEAR, something. This is the worst customer experience ever. I Just signed up with a hotspot netgear device and before and after signing up I was constantly misinformed about the usage and the data and that I was suppose get credited to my account and told different things from customer service. The order department Laresa between 8-2-15-8/6/15 promised that 192.00 for the device would be credited to my account and 36.00 activation fee as well and 24.24 tax and shipping fee credit to my bill and that I had 4gbs. Not 3gbs and that if I watched movies that it would not use up all my data that I would have enough to last to the end of the month and on the device it stated that I had 23days left and not be charged 51. And change if I go over by e-mail after the fact. I need to return the device without paying a stocking fee and I was inconvenienced and unprofessionally treated need my monies returned to my visa card and if you want to listen to the tapes of my conversations with your worker that's fined, but I feel that I shouldn't have to wait 30 days before your decision of what the tape says is made. We have NetGear wifi connection at home and it is super fast. I personally use this for my mobile, laptop and ipad. I love the fact that it supports a lot of mobiles and speed doesnâ¬t decrease either. Can be used for gaming purpose, HD Media Streaming and many more. I would definetly suggest anyone to go for NetGear at their home or office. Surf at super speeds with fast loading of embedded site videos and animations. Email attachments load up and down quickly too. 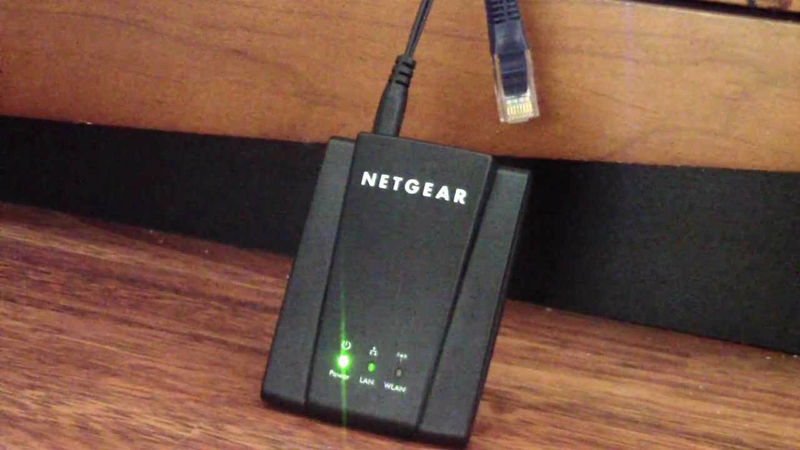 On Dec. 26 I purchased online two refurbished Netgear WNA3100 adapters for the new wireless Netgear router I also purchased. The order number is 2677175-896476. Two days after receiving, I attempted to install it onto the computer which I wanted to remotely connect to the mother computer upon which the router had been successfully installed. However, no installation CD was sent with either of the adapters leaving the only way of obtaining the driver software necessary for installing from the Netgear online website. In order to do this requires knowledge of the serial number of the product (which was occluded on each adapter so that the number couldn’t be read). Thus, no allowed drivers. I contacted customer service at Netgear which stated that in order for them to release the method of receiving necessary software, I would have to ‘purchase’ tech advisory assistance. In other words I purchased a product from Wal-Mart which has essentially no use. It is akin to buying a car devoid of a steering column & wheel. Thus, I want my money returned and also the ordinarily nonrefundable tax & shipping charge as every time you sell a product in such manner, you are selling a fraudulent item. It can’t be utilized without more money being paid to another party. Should I not receive all cost for these two objects and the other fees, I guarantee that my next email will be to the BBB, which I’ve most certainly achieved success through before to companies whose business methods or practices are deceptive at best.